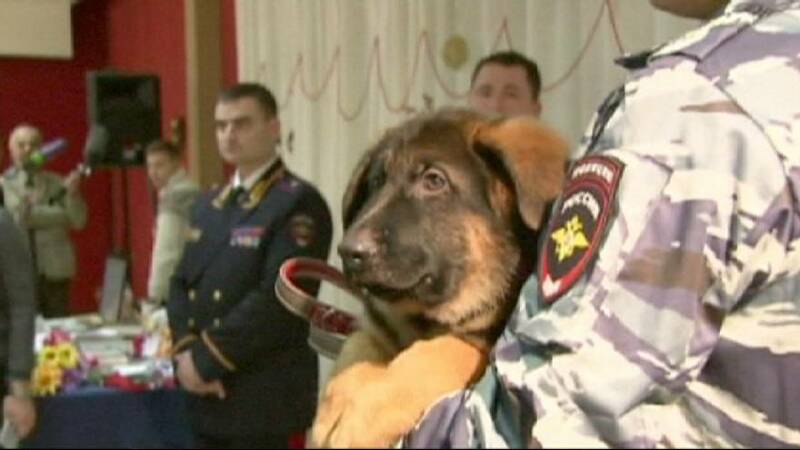 Russia has given France a puppy to replace Diesel, the police dog killed in the Paris attacks. The German Shepherd is named Dobrinya, as officials wanted to choose a name starting with D as a tribute to the French police dog. The puppy was given to the French ambassador in Moscow “as a symbol of the unity of Russia and France in the fight against terrorism”. The puppy still has to spend some weeks in quarantine before she can travel to France.